Join Wendy Hiscocks and violinist Madeleine Mitchell for this FREE concert of wonderful music on 25 May at 6pm. We have a few free places available for this special CAM concert at Steinway’s fantastic London venue. 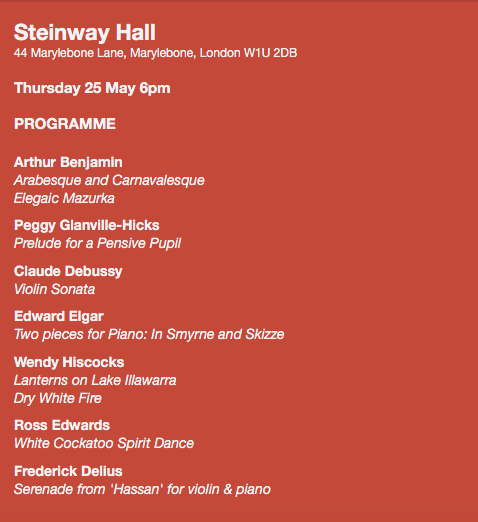 This one-hour programme will be followed by a drinks reception in Steinway’s prestigious showroom. Just click below to reserve your tickets.